99.9% comes out May 6th. 99.9% official artwork in a mural, done by @ricardocavolo. E 6th St & Brushy St, Austin, TX. 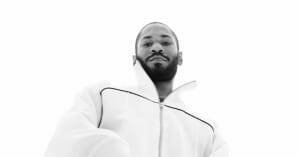 Last night, KAYTRANADA premiered "Bus Ride", a single off his upcoming 99.9% LP, on BBC Radio 1 with Benji B. Tonight, he shares the official audio of the song which features Karriem Riggins and River Tiber. The Montreal producer also took to social media today to announce the entire tracklist for the album by posting snippets of each song on Instagram. Preview each song off 99.9% here via KAYTRANADA's Instagram and see the full tracklist below. You can preorder the album, which will be out May 6th via XL Recordings, here.